The Jerusalem-based solar company 3GSolar (formerly known as OrionSolar) is preparing go public in Canada. This would make 3GSolar the first Israeli company to ever go public in Canada. 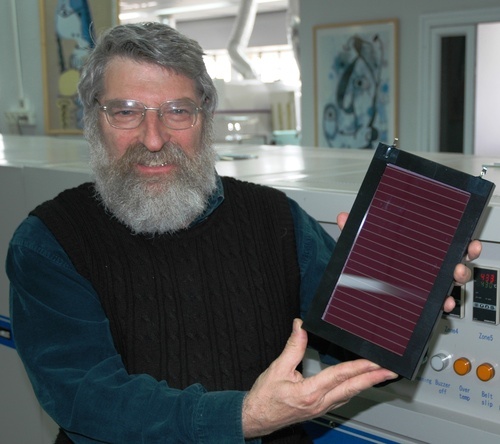 Founded by Dr. Jonathan Goldstein, a former Luz scientist, 3GSolar technology is based on a wine-colored dye that serves as a low-cost alternative to silicon. Cost is only one advantage to replacing silicon; another is that there may be limited quantities of silicon left, and the high-energy process of working with the substance is not necessarily “green.” Goldstein has suggested that his technology could be ideal for providing electricity to places that currently have none, such as Third World countries.